Federal Government has been a seven-day ultimatum to pay former employees of the defunct Nigeria Airways their N45 billion severance package. 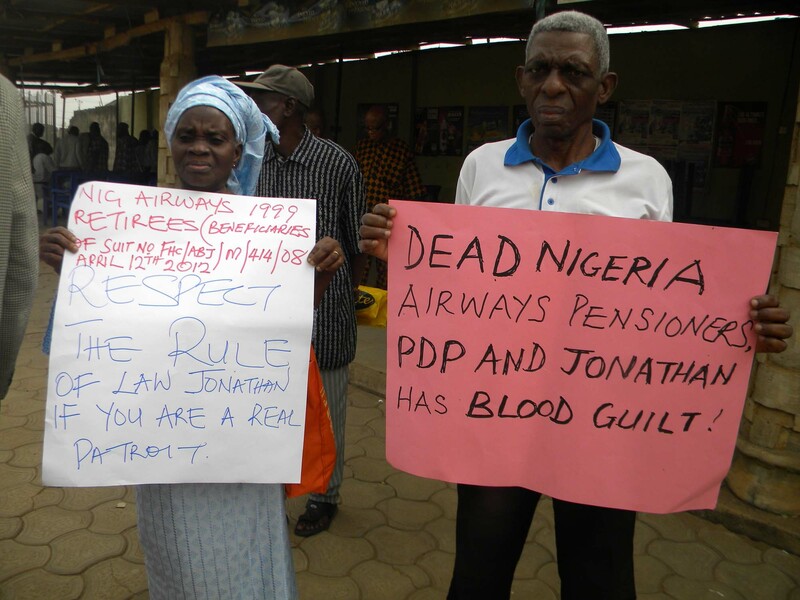 This ultimatum was given on Tuesday by the Air Transport Services Senior Staff Association of Nigeria (ATSSSAN). Addressing aviation workers at the secretariat of the union in Ikeja, Lagos, National President of ATSSSAN, Comrade Illitrus Ahmadu, described as unfortunate the delay in payment of the benefits to the former aviation employees. He said the union will go any length to ensure the affected pensioners of the former nation’s national carrier were paid their entitlements. Mr Ahmadu also said the aviation industry was at a precipice considering series of activities and developments that have continued to plague the sector. According to him, aviation workers continue to get worried over the signals coming from government over planned concession of airports, saying the association has employed engagement strategies to ensure whatever model is adopted by government favours all parties. He challenged government to adopt the airports privatization model implemented by many countries as government’s 100 hundred per cent ownership of airports is serving as a disincentive to many foreign investors.